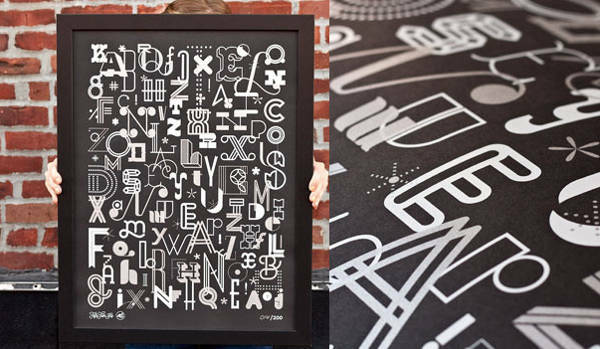 Alphabet posters, done well, can be a fabulous learning tool and a piece of art. A little like these gems. I’m a great believer in the use of functional art, particularly when it comes to children. Because they often don’t even realise they’re learning – bonus! Some great alphabet posters like these will kick-start their recognition of letters while engaging them with really cool illustrations. 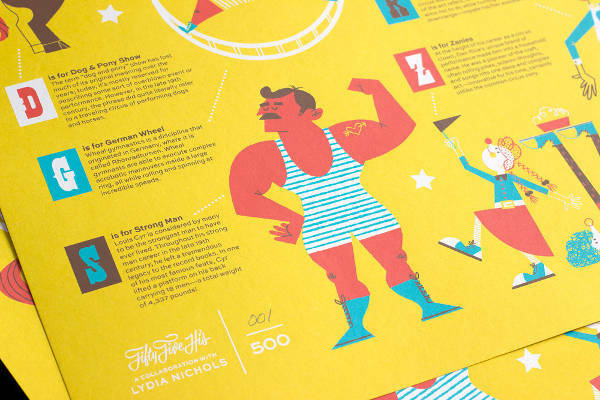 55 Hi’s is a one-man operation, pumping out some great typographical posters with all manner of inspirational quotes and general awesomeness. We love the many and varied alphabet posters 55 Hi’s has on offer. 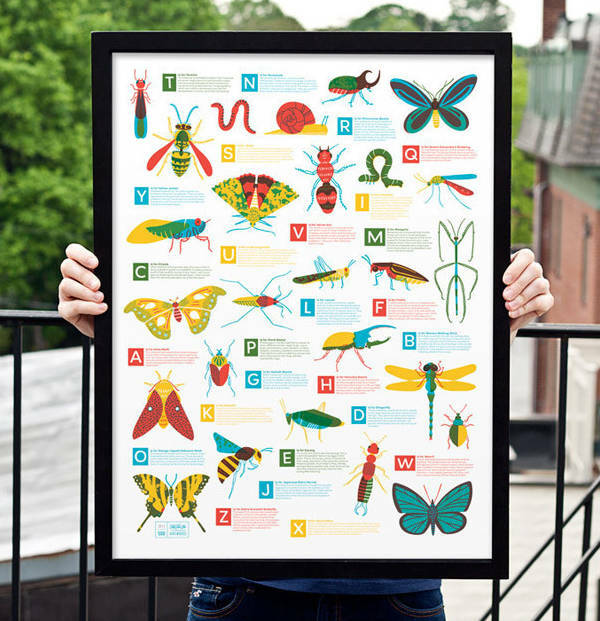 The Bugs Poster ($US39.99) has twenty six (obviously) creepy crawlies each with a corresponding letter and description of said bug. What I love is that the layout is random, so the letters aren’t in alphabetical order. This is a great teaching tool to ensure children are actually learning the letters by sight. 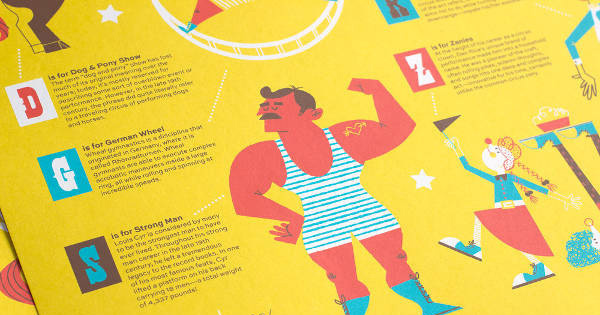 Likewise the Circus Poster has a random letter placement and features all the zany fun of the circus, like strongmen and bears. It’s also US$39.99. 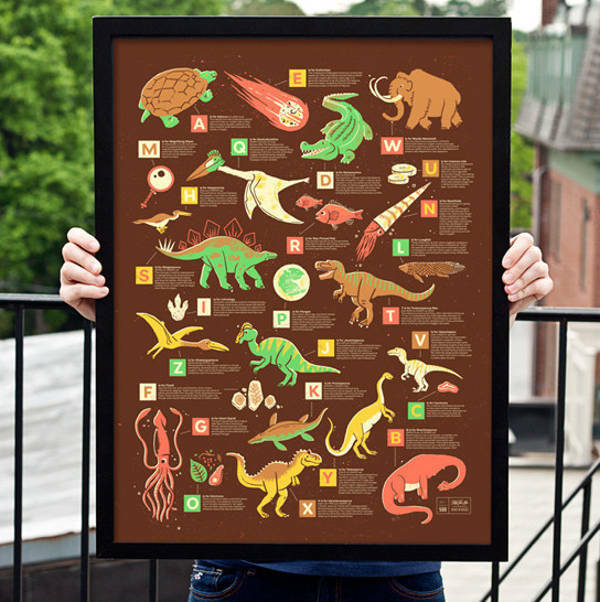 The Dino Alphabet is an absolute ripper for any budding palaeontologist and is packed with heaps of prehistoric fun facts. For real impact, there’s the Silver Letters for US$24.99, with beautiful shiny silver ABCs. You can browse the collection at 55 Hi’s, which does ship to Australia. 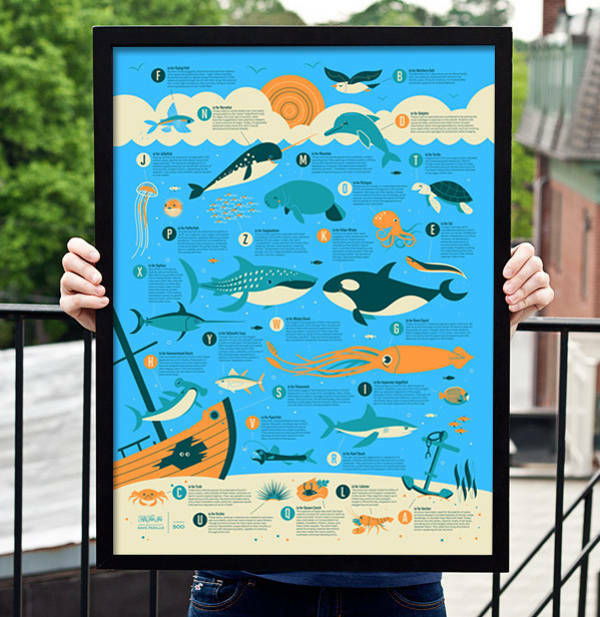 Many of the posters are limited edition, so best to get in quick.